The Cascade Farms name represents the very best in local, sustainably raised products that SP Provisions has to offer. 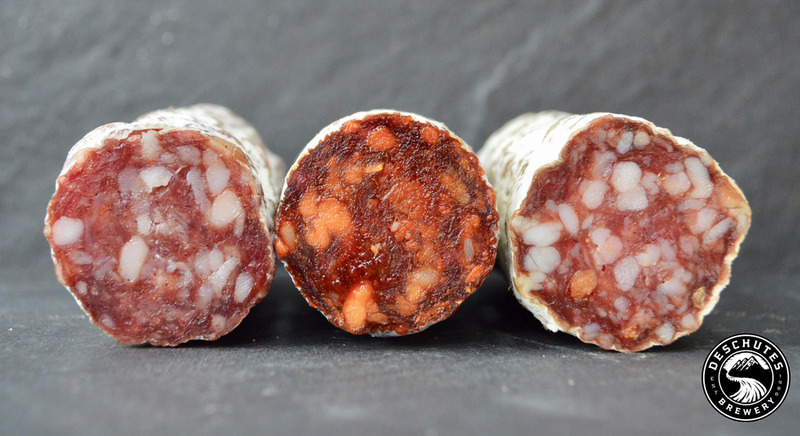 Using Old World recipes and New World technology, the SP family crafts fine salami - in a state-of-the-art charcuterie curing chamber - dialed-in to the exacting specifications of chef and butcher. with sausage making began in 1970s upstate New York. His skills were honed while travelling through France, Spain and Italy. He truly mastered his craft in Portland, where house-cured and smoked pork became a mainstay of his menus at the venerable Heathman Hotel and his now-legendary Higgins restaurant. 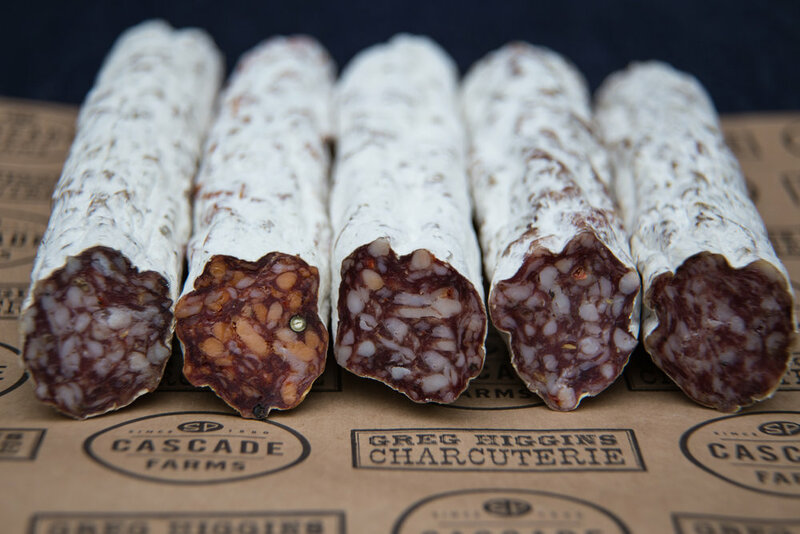 because, well, beer and sausage are perfect partner, Meet the tasty alliance of three Oregon heavyweights: Deschutes Brewery, Cascade Farms and charcuterie wizard Greg Higgins. With a shared commitment to using locally sourced ingredients and supporting sustainable farm practices, this line of Italian-style beer salami - and the partnership - pack a uniquely Northwest punch.